The Ranger gets to hear some pretty feeble reasons for felling trees in his job – usually along the lines of ‘it spoils my sea view‘. Just ocassionally a more creative one slips through the net, but recently, Copeland Borough Council in Cumbria had a corker from the lips of Cllr Mr Gilbert Scurrah (pictured), the Conservative member for Millom Without. This is exactly the kind of over-reaction that could really mean that bird flu causes serious problems even if it never arrives here. It might be expected that people in Cumbria – seriously affected by the foot-and-mouth crisis, but equally seriously affected by the catastrophic decline in tourism that year – would be the first to realise that irrational scare stories are almost as serious a threat to the rural landscape as is the deadly virus itself. Felling trees to avoid bird flu is just silly. No, worse – it’s dangerous and wrong, because it sends out a flawed message, and one which could have serious consequences. Perhaps Cllr Mr Scurrah meant his comments in jest. The Ranger has sat through one or two planning meetings in his time and he knows that an injection of levity is rarely unwelcome. But there are jokes, and there is foolishness. 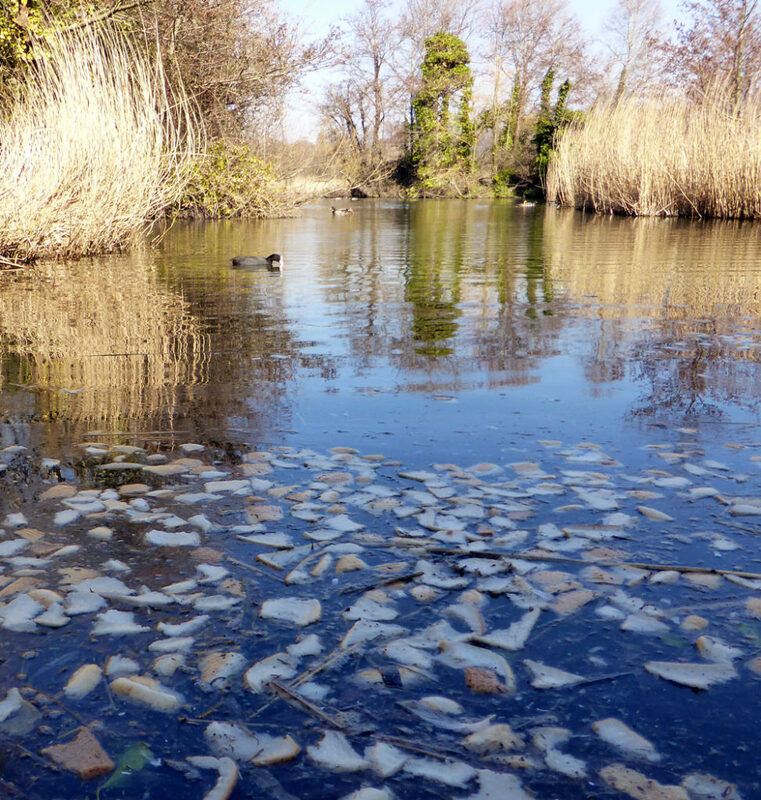 So, dead swans in Germany now. That’s getting a bit uncomfortably close. Suddenly the worries about a few Taiwanese bird-farmers look like they might have been justified. The Ranger even got an email inviting him to set up a ‘highly profitable Tamiflu shop’. Hmm. When spammers start cashing in that isn’t really a good sign. But still there is some perspective to be had on the matter. It’s not a panic yet. The disease which is spreading is a disease of birds, not humans. Whilst it could become a human disease, and indeed has in a few cases, in general we are not at risk from it. The talk now is of the need to maintain the poultry industry. Markos Kyprianou, EU Health Commissioner sounding less than convinced himself Let’s hope it stays that way. For at the time of writing the virus has been confirmed in Bulgaria, Romania, Greece, Austria, Italy, Germany and the European part of Russia. Other possible outbreaks are in Hungary, Croatia, Slovenia and Ukraine. Almost all the cases involve migratory wild swans. Basically, it look like the stuff is everywhere. Whilst we might hope fervently that it will not arrive in the UK, the chances of avoiding this seem to be pretty slim, even if DEFRA pluckily suggest (yesterday) that the risk remains ‘low’. However, we need to be realistic about this risk, and the risk of making too severe a response. Nobody wants a return to the madness of foot and mouth – and that disease was not known to affect humans at all. Already the Times has reported on proposed ‘no go areas’ which ‘recall the spectre of the foot-and-mouth outbreak’, prompting suggestions that the government is going to shut down the countryside once more – whereas in fact the proposed ‘buffer zones’ are for poultry movement only. Minister for animal health, Ben Bradshaw said (16.2.06) “The movements that would be affected would be those of poultry, not of human beings. Some of the rather alarmist headlines that have been around today about the countryside closing and footpaths closing are simply wrong.” Admittedly the Times article is not very inaccurate – but the comparison is unhelpful at this stage. Let’s hope that such ‘spectres’ remain only speculation. The Ranger is more concerned at present with the effect on wild birds. There have been various suggestions that migrating flocks should be culled to prevent spread of this disease. This is just wrong, because it won’t work. Birdlife International say as much – as you might expect – but also The World Health Organisation, Food and Agriculture Organisation and OIE (the World Organisation for Animal Health) agree that control of bird flu in wild birds by culling is not feasible, and should not be attempted (ref). So let’s not hear any more about that idea, please.